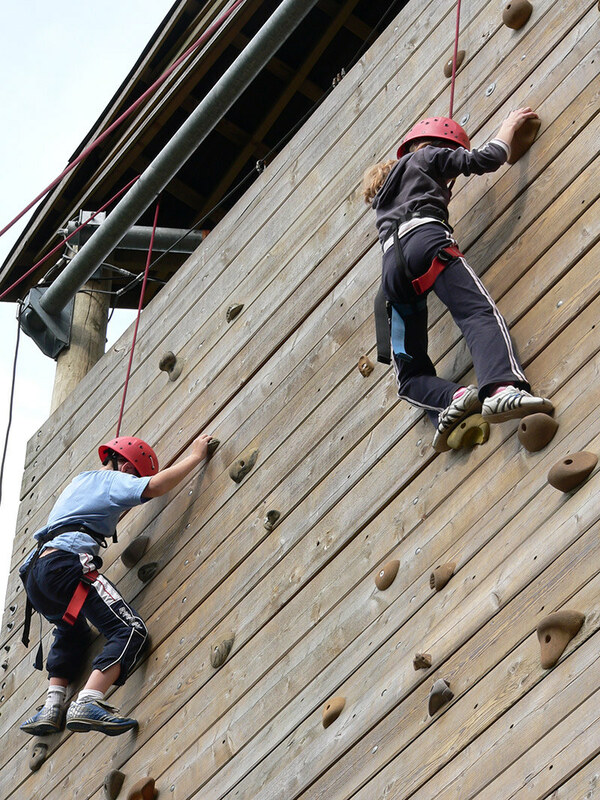 Our outdoor climbing wall provides an ideal opportunity to work on co–ordination and determination as we develop your climbing skills. 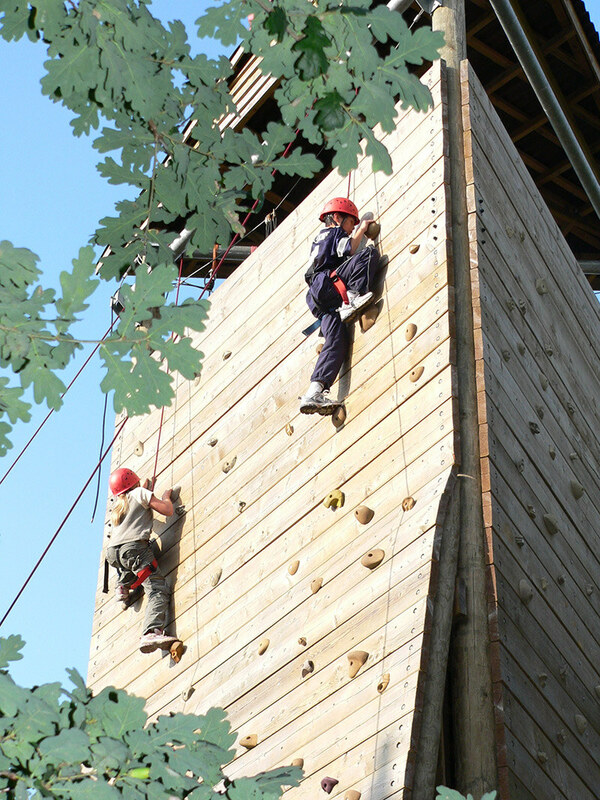 All participants wear harnesses and helmets and are securely fastened in and belayed whenever off the ground. 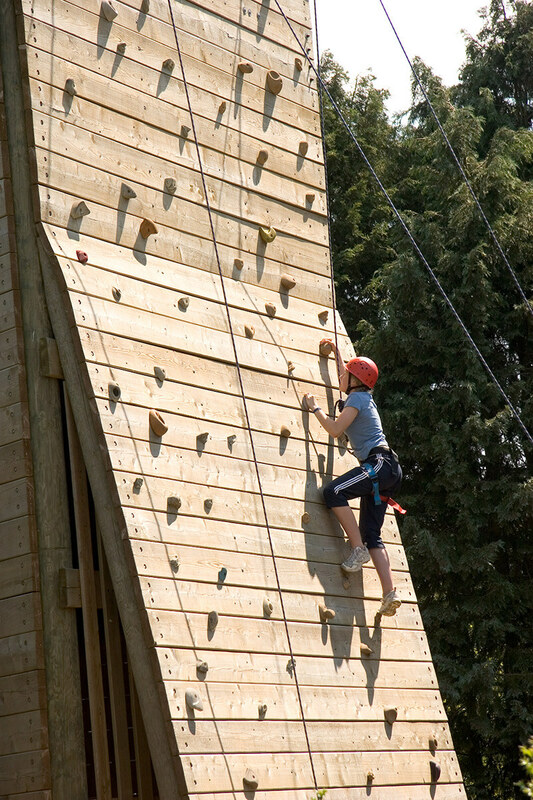 You will learn how to belay your friends as well as climb yourself and is very rewarding in terms of personal accomplishment . 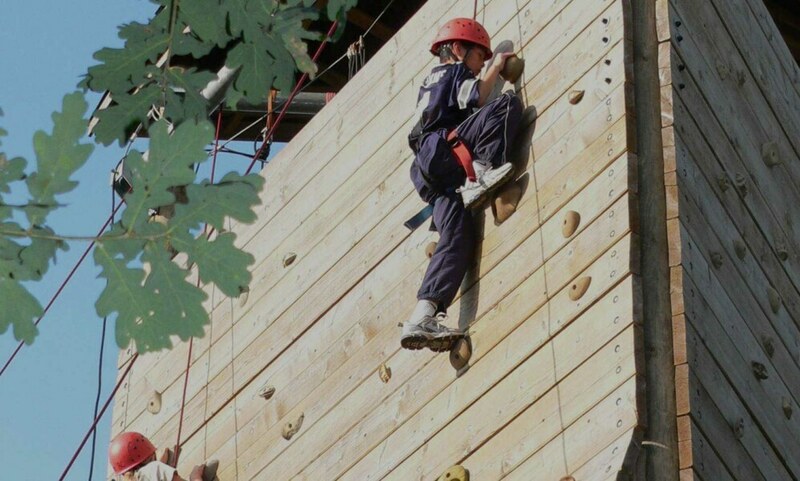 Also we have ideal facilities to run GCSE climbing, in our purpose built indoor wall with over 30 climbs we can cover all the criteria and then use our outdoor tower to complete the abseiling section.